Right rear quarter panel, hatch trough, and tail panel in place. 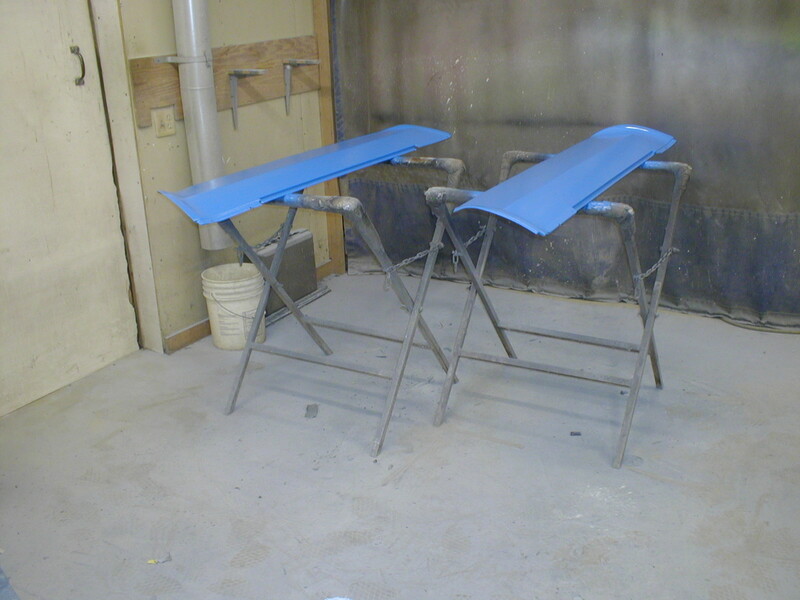 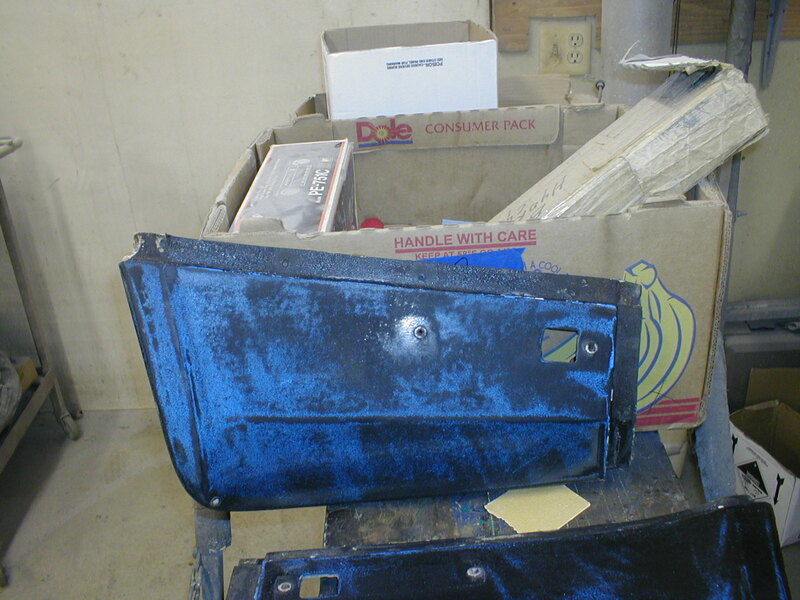 Left original lower rear quarter panel showing a lot of SPD blue paint from the mid 1970's. 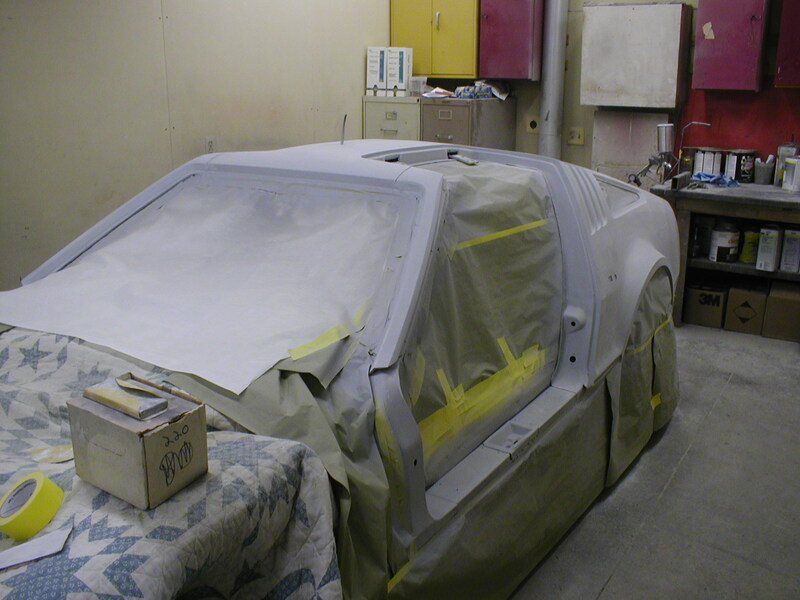 1st of 7 photos received January 27, 2015 from Kerry Stark. 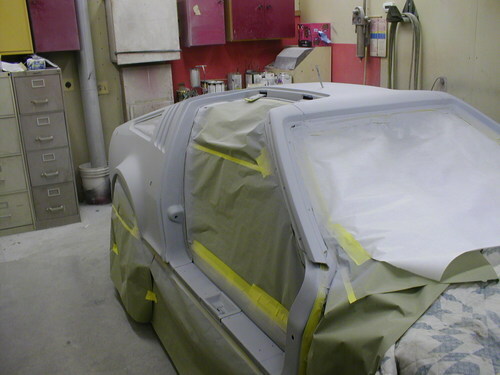 Left view of VIN 588 prior to primer being applied. 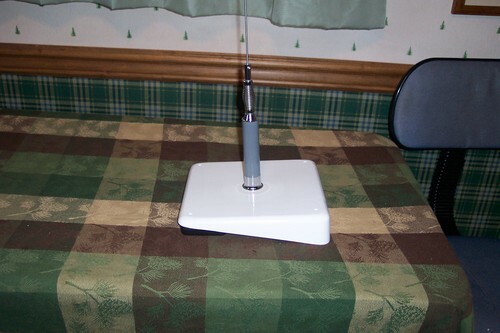 The wire protruding from the roof is for hookup of the Whelen 5000 PA beacon. Left view of VIN 588 with primer applied. 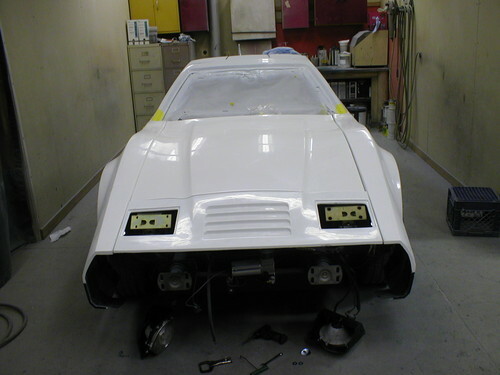 Left view of VIN 588 with primer applied. 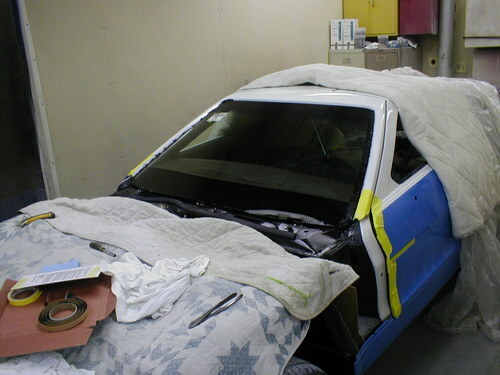 Photo 2. Right view of VIN 588 before primer being applied. 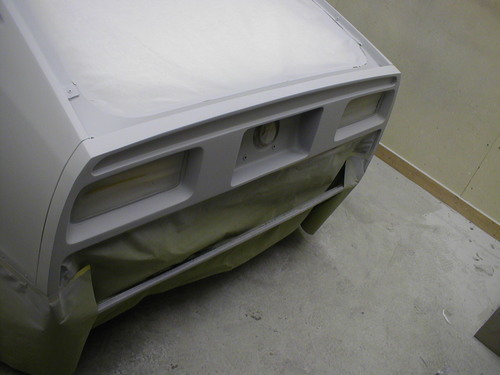 Right view of VIN 588 with primer applied. 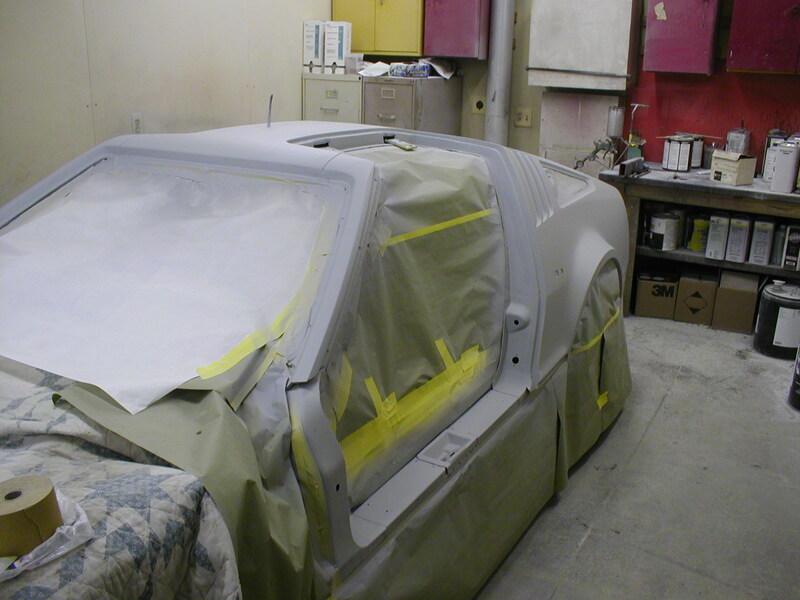 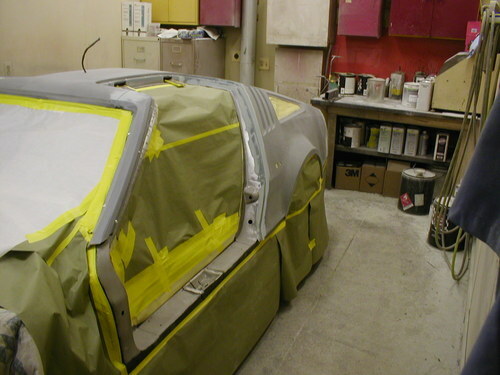 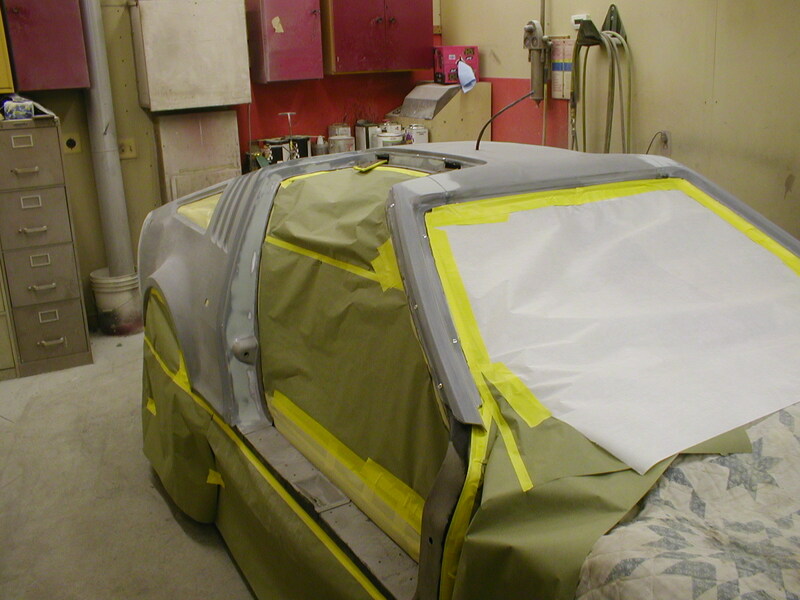 Tail Panel, hatch trough, and right rear quarter panel prior to primer being applied. 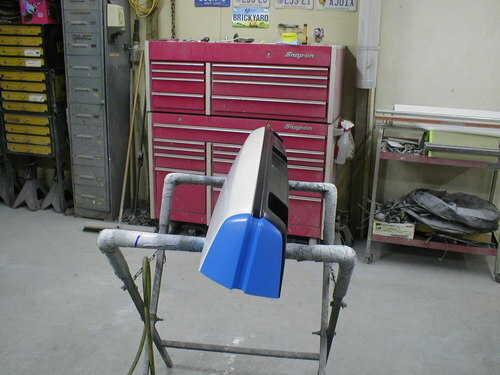 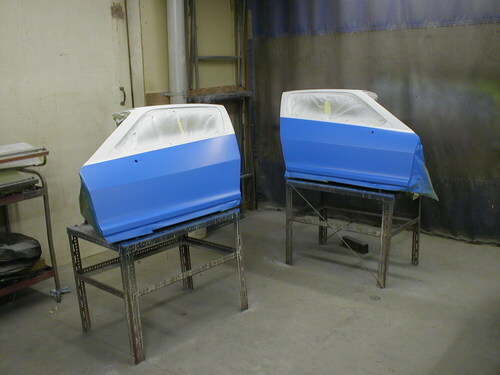 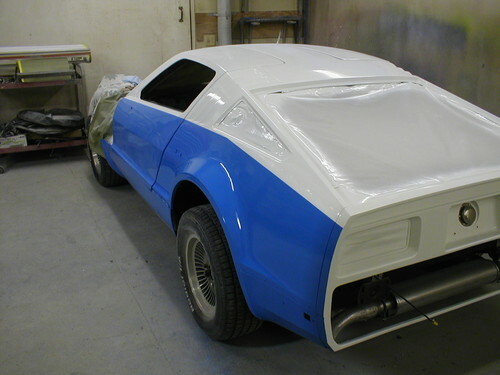 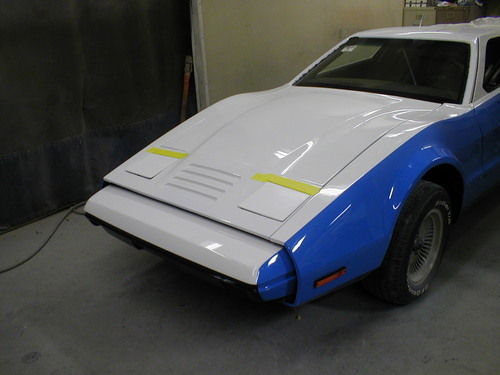 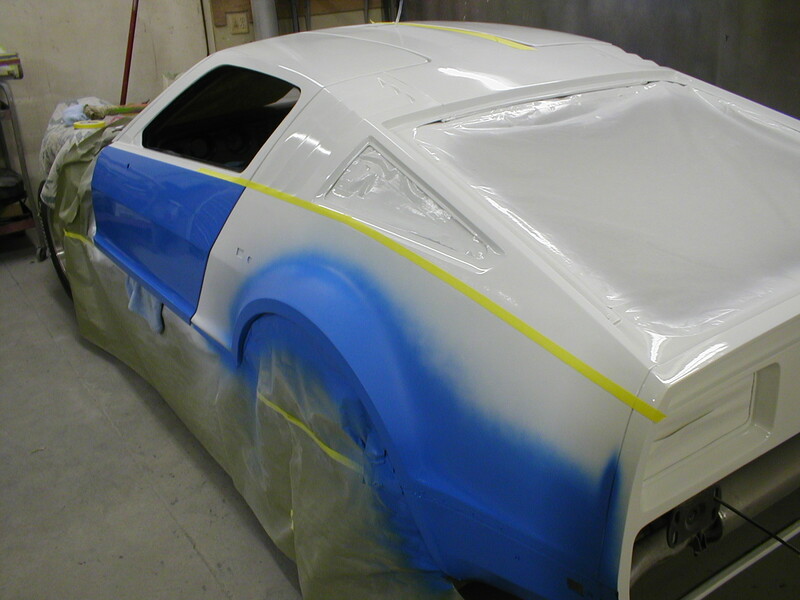 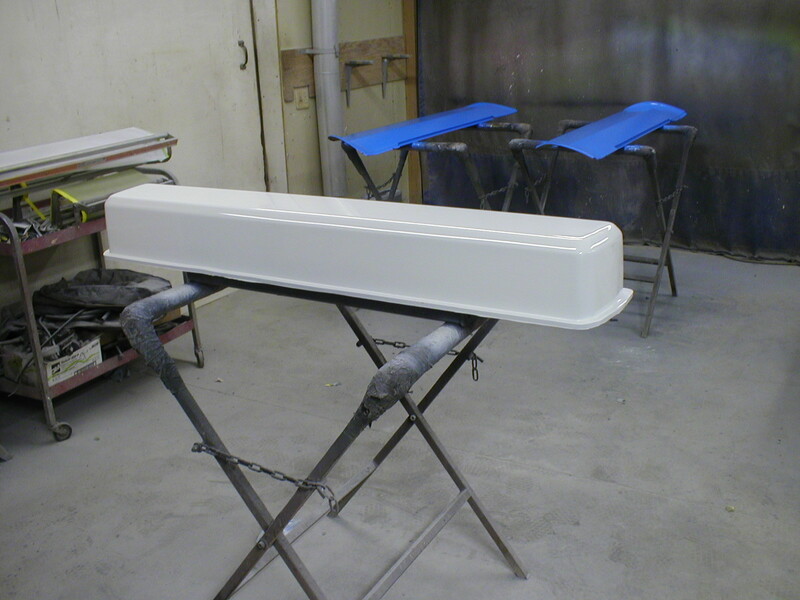 Tail panel, hatch trough, and left rear quarter panel with primer applied. 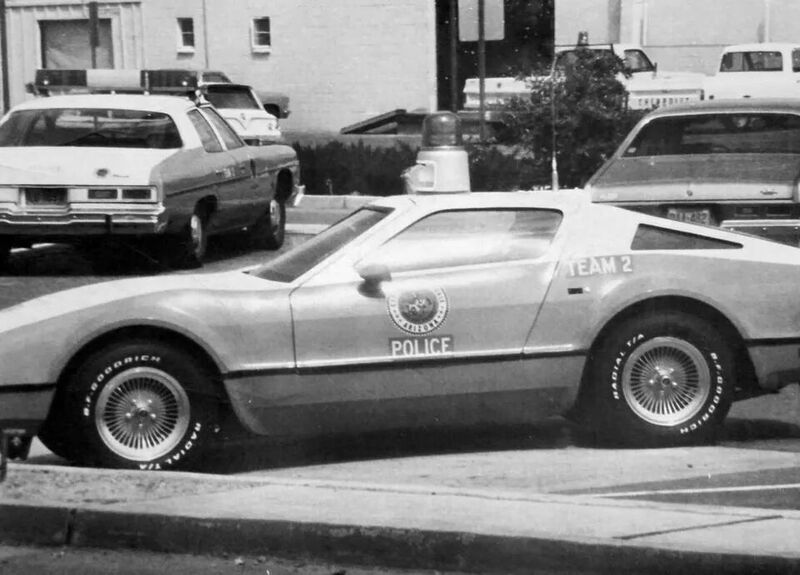 Shown on this photo is the NOS Ward W-RM Police frequency radio antenna, with permanent mount, that will be used in restoration of VIN 588. Appears to be an excellent / exact match ! 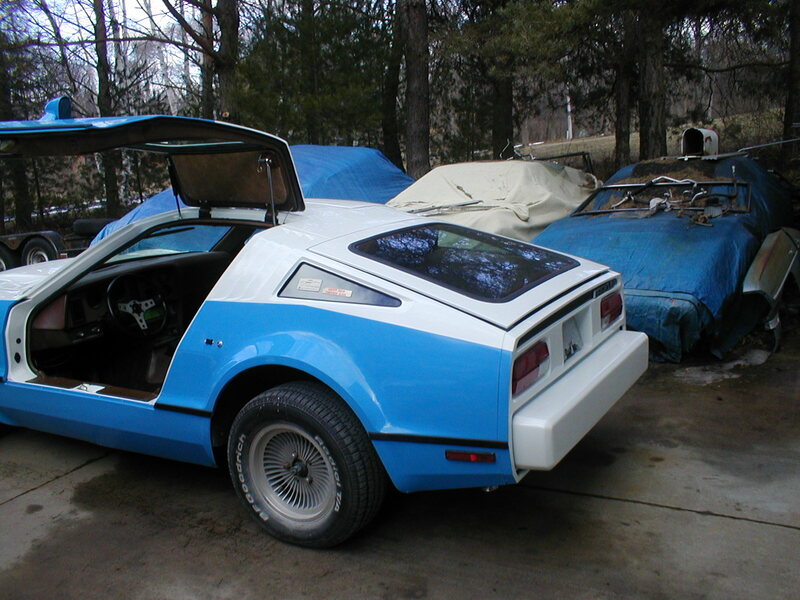 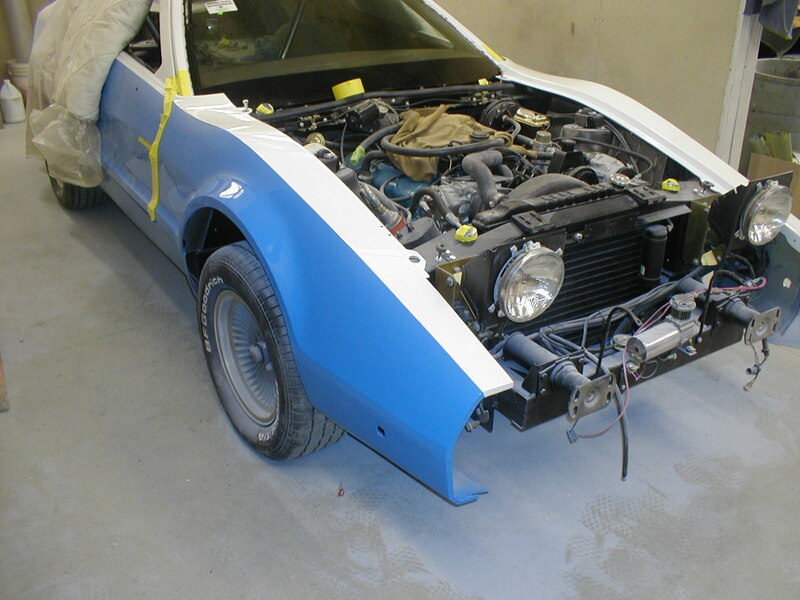 Rear bumper painted white with lower valances painted blue in the background. 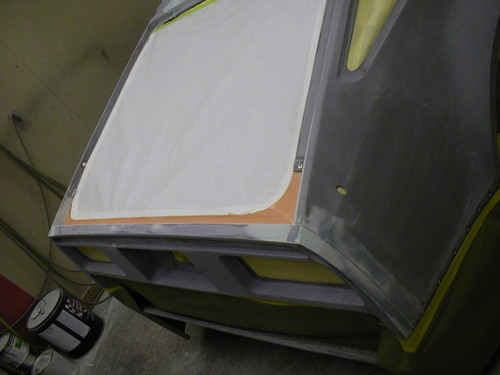 Doors installed, door jamb painted white. 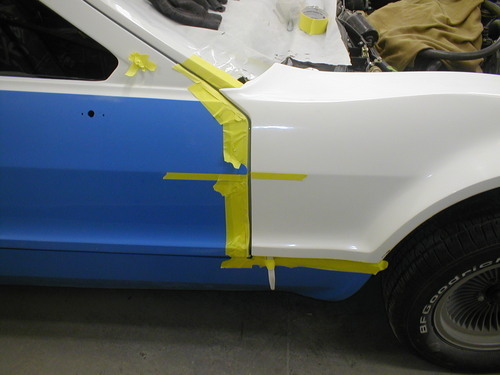 View from further forward, restoration progressing. Masking right fender and door. 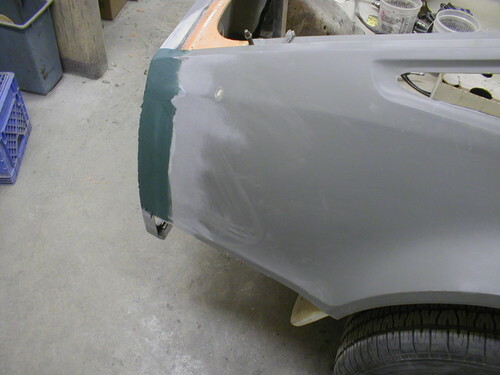 View from the front white paint applied. Right front quarter view blue paint applied. 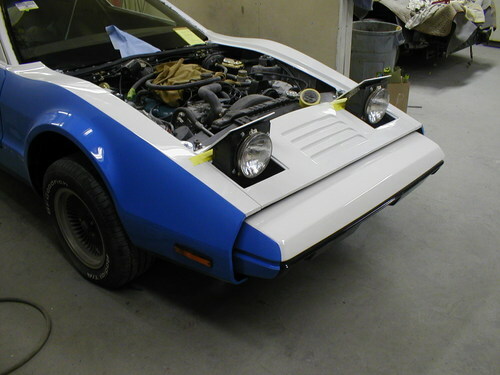 Hood extension, headlights, and front bumper installed. 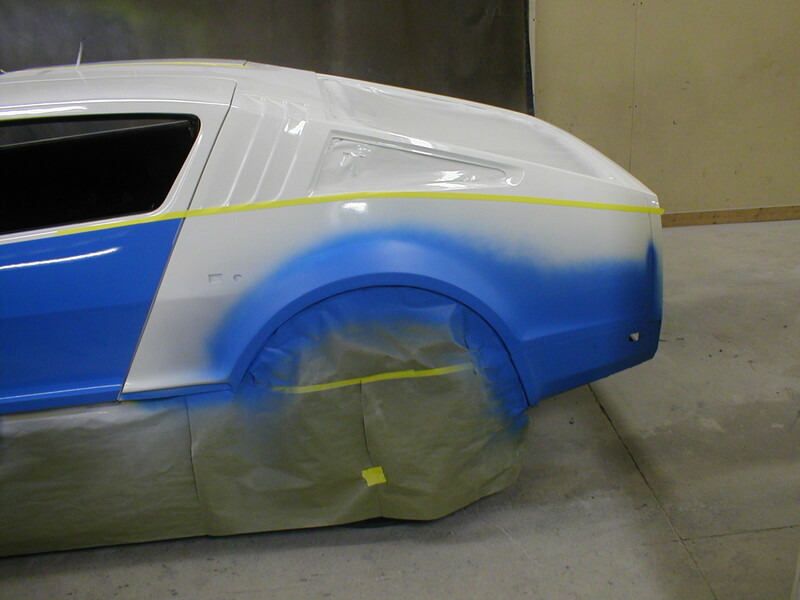 Paint progress left rear quarter view. Left paint progress side view. Left rear quarter view further along. 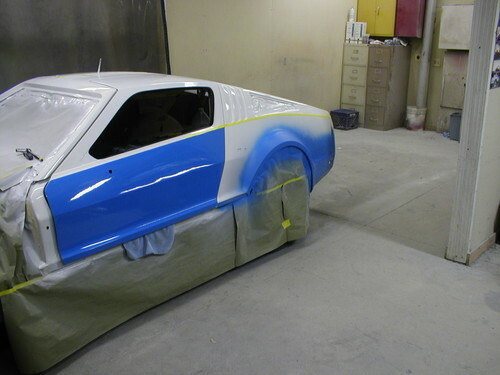 Left front quarter view nearing completion at the shop. 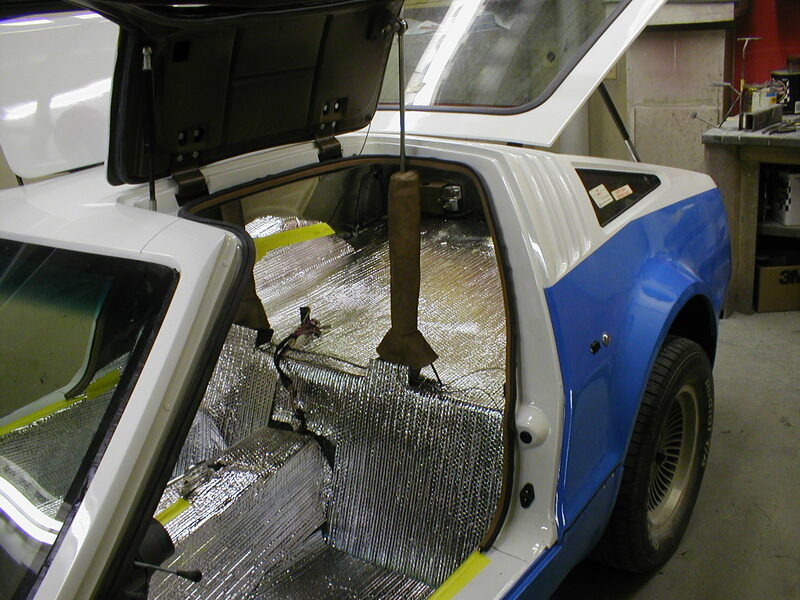 Outside the shop, driver door open. 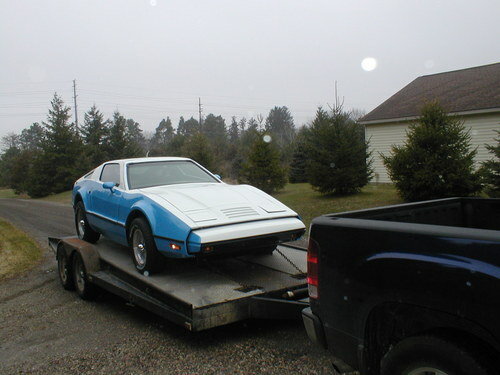 Off to get a front end alignment, before completion at the shop.